The 4th of July is a great time to be in Dahlonega and the mountains. Family Fun Day in town with the Firecracker 5k and 10k, parade, classic car show, BBQ and free concert followed by fireworks. Then you can relax on Friday at the Lodge or float down the river or hike to a waterfall. 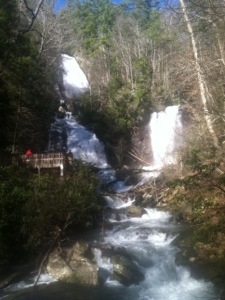 We now offer guided waterfall and trail hike packages. Book on line or give us a call.